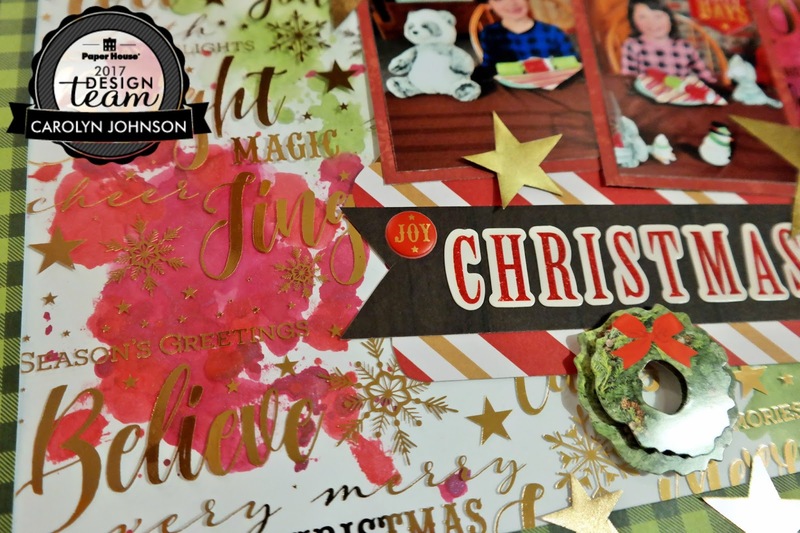 Ramblings of a Winnipeg Mommy: Christmas Joy Layout Inspired by Pinterest for P.H.P. 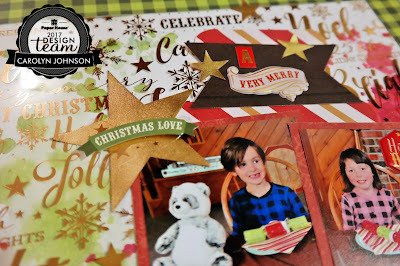 Christmas Joy Layout Inspired by Pinterest for P.H.P. I'm so excited for Christmas but also sad that this is my last post as part of the 2017 Design Team. This has been such an amazing experience for me - thank-you Paper House Productions! Now for my final layout. Our theme this week is to be inspired by a layout from the Paper House Productions Pinterest page. 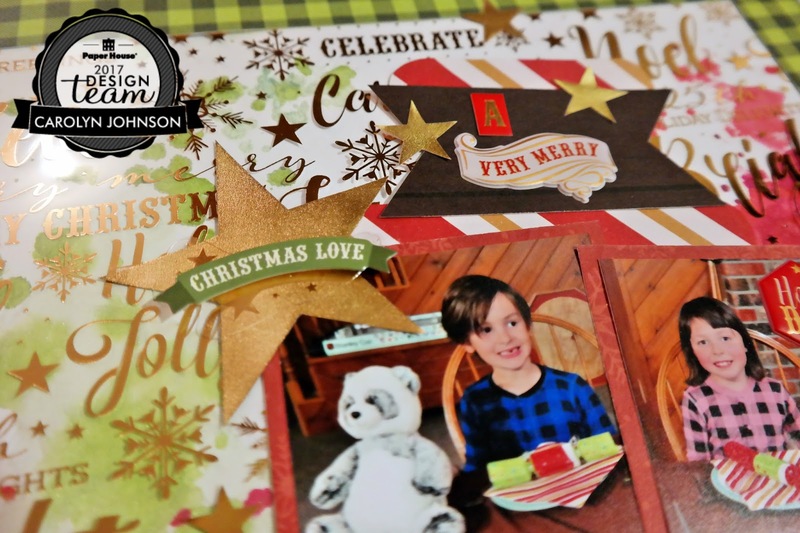 I chose a layout by our fabulous team leader - Christine Meyer. Supplies for Christmas Joy Layout: Christmas Stick On Pockets, Christmas Puffy Sticker, Merry & Bright 3D Stickers, Christmas Memories 12" Double Sided Scrapbook Paper, Better When Camping 12" Double Sided Scrapbook Paper, Christmas Joy Tags 12" Double Sided Scrapbook Paper, Christmas Joy 12" Acetate Paper, Christmas Magic Cardstock Multi Pack, Gold Dots 12" Double Sided Scrapbook Paper. I thought putting paint behind an acetate paper was a brilliant idea. It was so much fun. I splattered and smooshed it with plastic packaging on a piece of white cardstock. The plaid paper is from the Great Outdoors collection and the remainder is from the Christmas Joy collection. I cut the stars from the stick on pockets. This was a great way to stretch my supplies. 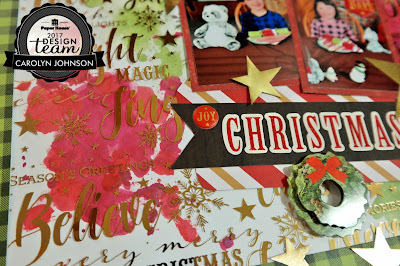 I've made so many layouts and cards with this collection! Thanks so much for stopping by! Be sure to stop by the Pinterest page for lots of inspiration for your Paper House goodies! Happy Holidays!